It’s full steam ahead for the back-to-college shopping season and recent research points to good news for retailers. In the second installment of our Back-to-College series, we take a look at how students and their families will be shopping for clothing, supplies and other items this school year. 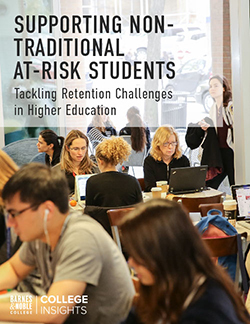 The National Retail Federation’s annual survey projects that back-to-college spending will reach a total of $55.3 billion, up from 2017’s previous record of $54.1 billion — and an all-time high in the survey’s history. 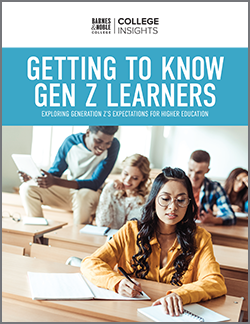 Deloitte also recently released its 2018 Back-to-College Survey, covering a variety of consumer plans, preferences and trends. One item of note: on-campus bookstores ranked second for the retail environments where families planned to do their shopping. In fact, 61 percent said that they plan to shop at campus bookstores, coming in ahead of online-only retailers (51 percent) and behind only to mass merchants (75 percent). According to Deloitte, in-store shopping is expected to represent more than half (54 percent) of back-to-college spending for parents — up from 49 percent in 2017. Online is expected to be down or flat, snagging 24 percent of total spending. The remaining 22 percent is up for grabs.“This decline in digital usage for B2C could be a sign that consumers desire innovation with their digital shopping interactions and an opportunity for retailers to define innovation at the intersection of technology, engagement, and decision making in the coming years,” said Rod Sides, vice chairman and US Retail, Wholesale & Distribution leader. 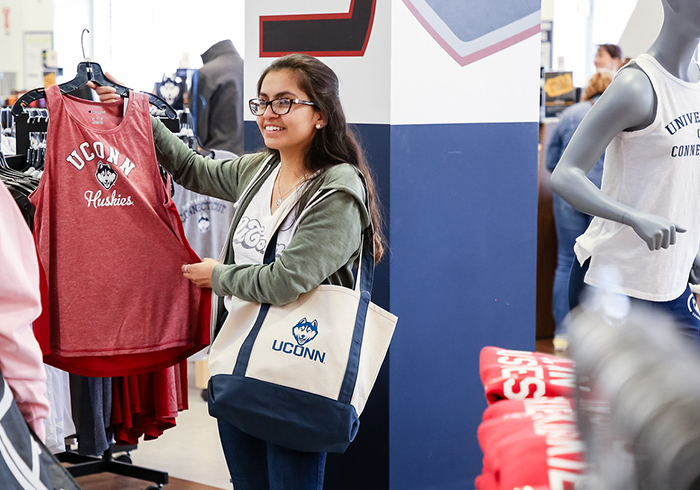 According to Deloitte, on-campus bookstores ranked second for the retail environments where families planned to do their back-to-college shopping. Key takeaway: Curating the digital and in-person experiences shoppers want is key. Campus bookstores should promote new offerings that improve online experiences, such as the latest features in the app, as well as the offers and events that drive traffic into the store. Among online shoppers, Deloitte found that 69 percent will use their desktop or laptop computer in the course of their back-to-college shopping, 45 percent will use their mobile device and 13 percent will use social media. However, these digital connections are not just about making purchases online — they’re about gathering information and making decisions that influence purchases across channels. Key takeaway: It’s never been more important for campus bookstores to create a seamless, multi-channel experience, connecting shoppers with the information they seek, wherever they are, to drive traffic into stores and capture both online and offline sales. An SMU student shops at “The Glossary” in the Southern Methodist University Bookstore. The beauty store-within-a-store concept allows students to shop for cosmetics and other beauty products on campus throughout the school year. Key takeaway: Decreases in back-to-college spending on personal care items and food may represent an opportunity for campus bookstores to increase market share in these categories throughout the year.